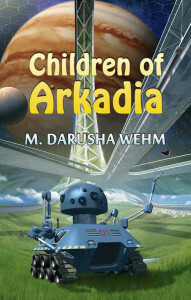 Here’s a big Inkpunk welcome to Darusha Wehm, who is taking time out from promoting her new novel, Children of Arkadia, to shares a little about what it’s like to work with an editor. I’m a bit of a loner. When I was in school, I don’t know which phrase terrified me more: “team sports” or “group project.” Even as an adult, I’ve preferred to do things my way. I self-published four novels, perfectly content to do it all. My friends often laugh when I express utter shock at their solutions to household problems — call a plumber? Why would you do that when the hardware store is just down the street and you have Google? So, you might be surprised to learn that I’m here to talk about how great it can be to work with an editor. And I don’t mean talking myself while wearing a funny hat, either. I’m a discovery writer. My characters have this habit of doing things I hadn’t expected. For me, drafting at its best is an experience in seeing where the story goes. I’ve set up the scene, put these people in their places, and as I type I watch what they do. They surprise me. Often. Sometimes, those surprises don’t make sense in the long run, but usually they are what ends up driving the plot. When it comes to editing, I’m often taking out the stuff I planned and leaving in the things that came up on their own. It’s a more interesting way of writing, but it means I sometimes literally don’t know what I’m doing in my stories. What does the colour blue symbolize, anyway? Once you’ve written a thing or two, it’s easy to sympathize with your internal high schooler, sitting in Literature class, rolling your eyes, thinking “Really? You really think that blue curtains symbolize the past? Puh-leeze.” We’ve all had readers completely miss the mark with something we’ve written, seeing all kind of things in the text we most certainly did not put in there. The thing is, though, sometimes they are right and we are wrong. Maybe it’s my subconscious at work when I’m drafting, but subtext, symbolism and subtlety creeps into my work without me noticing. The hardest part about editing is that I’m so close to the material that I see what I expect to see rather than what’s there. Yes, that most often means seeing “from” when I actually typed “form” but there can be even more significant things going on that I just can’t see. So, that’s what I meant! 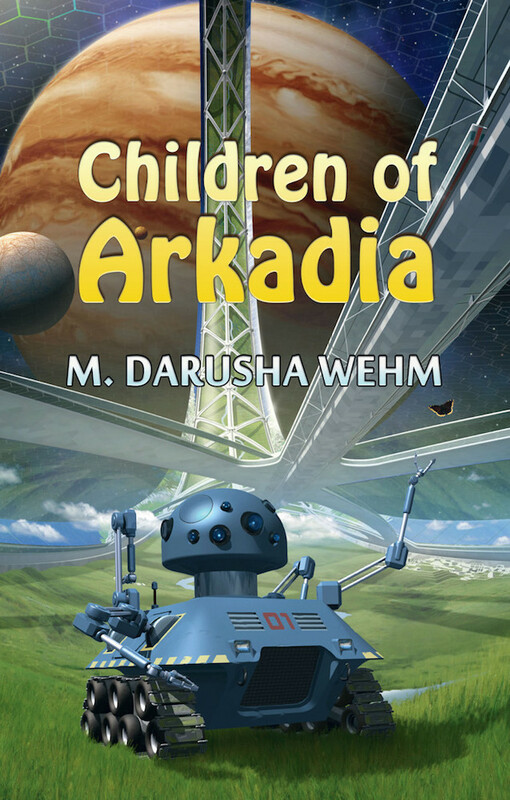 My upcoming novel Children of Arkadia is published by Bundoran Press, and my editor Hayden Trenholm worked closely with me on revisions. Our conversations were fascinating, since he saw entire themes in the book that I hadn’t realized were there. I remember reading one of his emails and exclaiming aloud, “So, that’s what I meant!” I know it makes me sound a little odd, but even though I’d never noticed these themes, as soon as they were pointed out, it was obvious that they were what the book was really about. I completely rewrote the ending of the book, changing the story entirely. The emotional resonance of the ending remained the same, but the events that led there made much more sense in the revised version. Because in the original version, I’d just been seeing what I expected to see, rather than what was really there. As much as I like doing things on my own, sometimes you need a friend. Whether it’s carrying a couch up a flight of stairs or making an unsatisfactory scene come alive, another person can make all the difference. It doesn’t have to be a professional editor — a good critique partner or wise reader can help you see the hidden truths of your work. Writing is a solitary activity, but editing ideally isn’t. Finding a trustworthy second set of eyes can make all the difference, and you might even see things in your work you’d never noticed. M. Darusha Wehm is the three-time Parsec Award shortlisted author of the novels Beautiful Red, Self Made, Act of Will andThe Beauty of Our Weapons. Her next novel, Children of Arkadia (Bundoran Press), will be released April 28, 2015. She is the editor of the crime and mystery magazine Plan B. She is from Canada, but currently lives in Wellington, New Zealand after spending the past several years traveling at sea on her sailboat. For more information, visit http://darusha.ca.